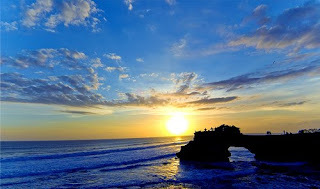 Tanah Lot One of Bali tourism icon is Tanah Lot. This tourism object is located in the village Beraban, kab. Tabanan. 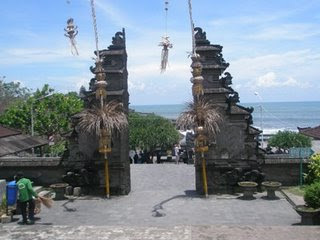 Luhur Pura Tanah Lot is built around a century by Dang Hyang VXI Nirartha, a Hindu priest Siva from the land of Java. 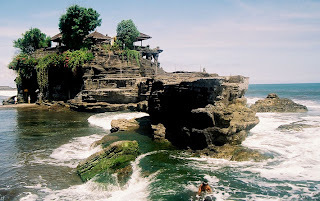 Supernal temple on a rock cliff ocean ditengah2 Indonesia is satu2nya these attractions in Bali. 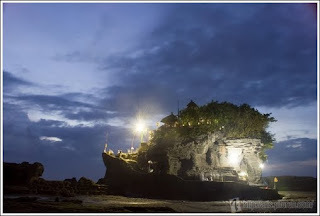 Around the temple, there is a cave wrote a breeding place sea snakes go by a sacred snake. 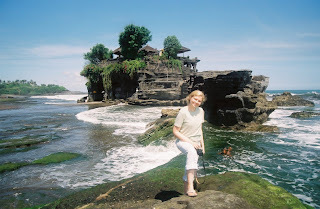 Sacred because people say about believing that this snake is the guardian of the temple Tanah Lot.